HUMAN HISTORY WILL END with a royal wedding. It will be the wedding all other weddings were meant to point us towards. On that day, no one will complain about the wedding sermon; for the Groom will be the only Word that is given. He will be all that is necessary. The Bride was once an outsider to this monarchy. But the Groom has made her worthy with His own blood. In addition to the breathtaking exaltation of the Bride, we are also amazed at the complete collapse of another woman. While one is made glorious, the other is made desolate. Special attention is given this femme fatale in the final pages of Scripture. John sees her and his mouth drops open in amazement. He has already introduced us to one Jezebel at the beginning of the book of Revelation. 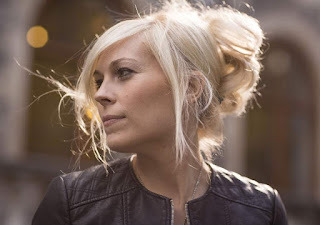 She was a local fake teacher in Thyatira. Now he uses similar language to describe a global city personified as a woman wrapped in colourful clothes that bewitches the whole world and tries to corrupt the people of God with sexual immorality and idolatry. Her beauty is a terror. This Jezebel does not desire to merely manipulate a beta-king like Ahab. Rather, this grander Jezebel makes all the Earth’s rulers and mighty men ‘drunk on the wine of her sexual immorality’. She militarises her magnetism. All the seduced gather round. They drool over her breasts and legs, are mesmerised by her dark eyes, and hunger to be lost in her hills and valleys. Like a magnificent black hole, she consumes whatever comes near. There are two ways to understand this monstrous mistress. One way to view her is as the part of our world that delights in revolution against God. She is the cities of the earth that define themselves by sexual immorality and sophisticated idolatry. She is the dark side of Sodom, Corinth, Ancient Rome, 1930s Berlin, San Francisco, Vegas, Bangkok, Rio, and Amsterdam. She is the sites you visit online before you erase your browsing history. She has manifested herself in big ways throughout history, and will continue in even grander displays before the End. She is the counterpart to the Beast who influences through force and authority. She prefers to pull people into darkness with charm―not threats. We may also see her as the phantom that allures God’s people in every age to compromise. The Beast in Revelation persecutes Christ’s Bride from the outside. Jezebel corrupts her from within. Yes, the queen can be terribly totalitarian once fully enthroned. But she gets there craftily―one innocent compromise at a time. Though hell delights to see the holy Bride beaten down, it prefers to see her sell out. That’s why Jezebel pulls us away from the wholehearted worship of Yahweh and his Christ. She takes us from loyalty to the Scriptures and the power of the Spirit towards almost any socio-political cause. She infiltrates souls and congregations alike. She is Fake Church. But have courage. John’s revelation displays the scene of her destruction. Just as Scripture records King Jehu judging the original Jezebel from his war chariot, so our greater King Jesus ‘judges the great prostitute’ from his battle horse. As dogs ate Jezebel’s body, so two beasts now ‘devour her flesh’. The feminine form once coveted by Kings is chewed by the cruellest of critters. She is judged―and the power of her allure shatters like stemware on stone. At the eternal Wedding, our souls are no longer soured by sin. Our inner-Ahabs are buried and we are free. We love with liberated embrace, untainted by shadows of impropriety, jealousy, or fear of unrequited affection. We arrive at a sea of true and perfect love. The counterfeit is gone. The blood that spilt from our bodies in heralding the gospel did not fall silently into earth’s soil. The Universe’s Judge has heard the cry of every innocent drop. Our own hands renounced vengeance because we knew our Avenger would be faithful. We knew because we read the culmination of the Holy Book where time ends and eternity begins. Now, the New Jerusalem arrives. The voice of the Bridegroom shouts in celebration. God’s people party, for there is no more perversion to protest. Our protesting is done; paradise is here. Once persecuted saints now laugh as they feast on meat, not brought by ravens, but by angels. Battle-scarred prophets raise their glasses in cheer. 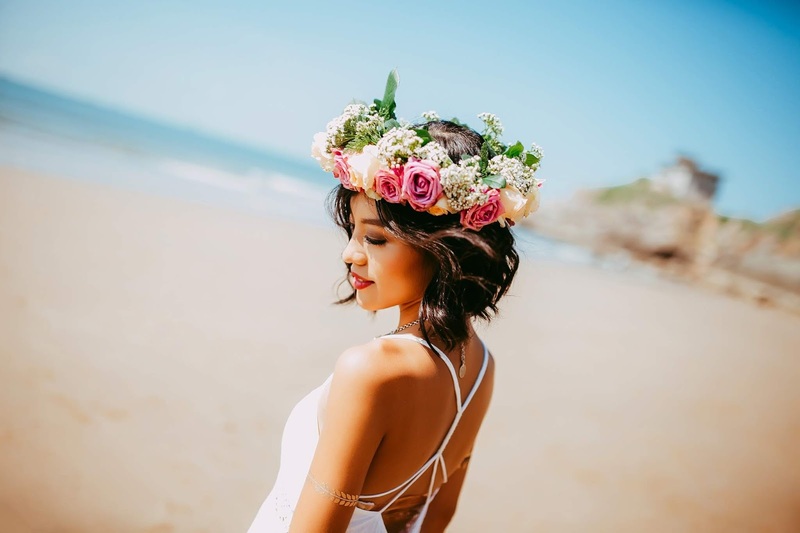 There is now and forever only a glorious Bride. And the only thing left of the ancient sorceress, who lifted herself to heights of worldly glory, are the turds of banished and burning beasts. 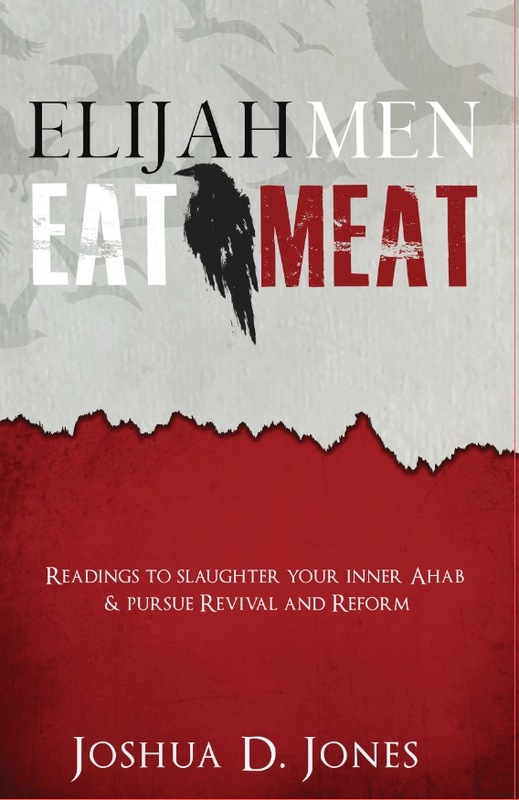 This post is an extract from the book Elijah Men Eat Meat: Readings to slaughter your inner Ahab and pursue Revival and Reform. We'd love for you to check it out.